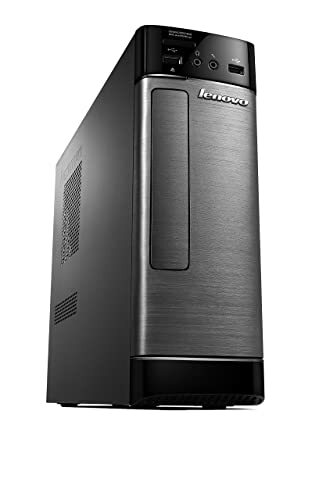 Lenovo H515s Besy Buy Desktop PC AMD E2-3800 Quad Core 4 GB RAM 500 GB HDD DVDRW. Take your Computing experience to the next level with Lenovo H515s. equipped with all the advanced features and latest technology, this PC is great for multitasking. Whether for entertainment or for office work you can use this PC for both as it gives amazing performance in everything. Packing in a powerful processor this PC gives you a performance you always wished for. AMD E2 is the perfect combination of multi-core processors and integrated graphics. Enjoy fast speed and smooth transaction between apps with AMD Turbo Core 3.0 and connect up to 6 displays with AMD Eyefinity technology. You cannot take most out of a PC until it offers fast memory and vast storage. Lenovo H515s comes with 4 GB of fast DDR3 RAM so you can have smooth multitasking experience. Furthermore it features a 500 GB hard drive which gives you enough space to store all your favourite movies and games. Enjoy your favourite movies through CyberLink PowerDVD multi-media player. It also features a CyberLink Power2Go disc burner. This DVD software suite allows you to watch DVDs and burn DVD disks straight out of the box. 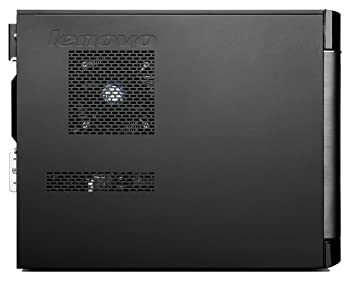 For more enjoyment of your media Lenovo has loaded it with 5.1 Channel Surround Sound. You just have to plug in the cable and adjust its setting then enjoy immersive surround sound. Lenovo H515s gives you multiple options of connectivity so you can enhance your usability. It has an integrated seven-in-one card reader which is positioned in front of the PC for easy access. The card reader is supported with MS, MS Pro, SD, SDHC, MMC, MMC Plus and optionally with SDXC. Enjoy fast data transfer with USB 3.0 which offers ten times faster data transfer rate than USB 2.0. So files which took hours can now be transferred in minutes. Now enjoy your media on large screen and in HD quality with HDMI. Lenovo H515s comes with integrated HDMI port which allows you to connect your PC with big display units including projectors, HDTV and large screen monitor. So enjoy your media at its best with Lenovo H515s. With easy to use interface of Lenovo Assistant you can organize your favourite and clean up your history including passwords and junk files. It also gives you an easy manageability of your PCs power consumption and network connections. Back up and restoring of your data is not a problem anymore. With Lenovo Rescue System you can easily and quickly back-up and restore your data prior to entering Windows. It give you the freedom to back up your files including media files and data operating system to an external or internal hard drive. You can access it during boot by pressing F12 or simply by Windows Metro. Lenovo Cloud lets you easily connect and share your files with others. With 5GB of web storage you can store and secure your important files. Access to these files is also very easy as you can access them from multiple locations and devices. With Lenovo Support you can monitor the performance of your system, whereas Lenovo Companion tells you how to get most out of your PC. Lenovo also delivers you latest games, music and movies which you cannot find anywhere else. With Lenovo Energy Management you can select energy settings according to your requirements. USB Keyboard & Mouse Included.